Using TLS (transport layer security) and HTTPS, communications between AdderLink units and A.I.M. and between A.I.M. and the outside world are all secure. For 24/7 reliability a second hot A.I.M. 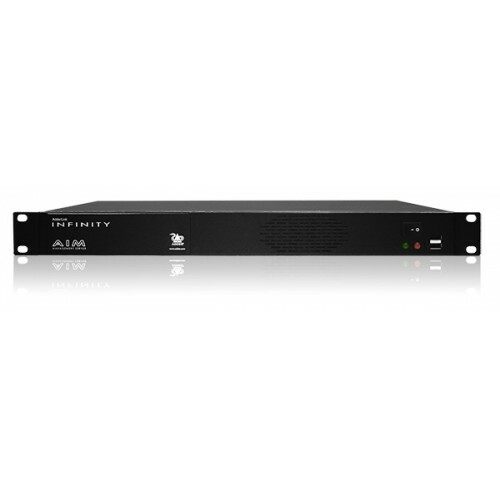 can be added to ensure constant uptime and with dual NIC interfaces on every AdderLink Infinity unit, systems can be easily designed for maximum resilience. Administrators can manage access rights to each device on a user by user basis either manually through the web browser or automatically using Active Directory. Reports showing the history of devices, user logins and device connections can be viewed and exported to a CSV file or via SYSLOG. Accessed via a web browser, the dashboard gives a real time overview of system connections and users. Tabs enable you to navigate between settings and device or user sub-menus. A.I.M. can be used to make connections between an individual pair of transmitter and receiver devices centrally from within the management system. 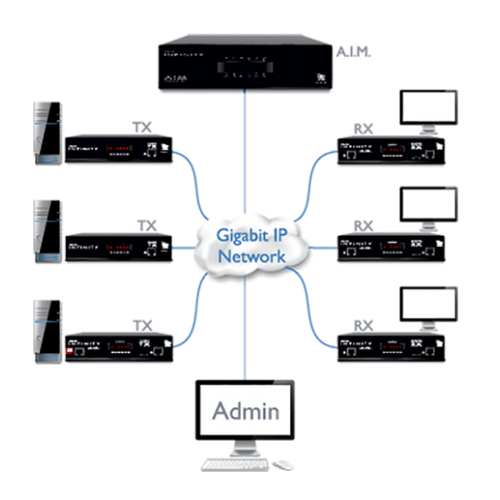 Using Presets, a list of pre-defined connections, multi-screen, video wall or signage setups can be forced with a single click. The user desks can select different keyboard configurations to suit their requirements and as a global setting select the language for the OSD from a choice of over 14 languages. Users login and choose channel connections from an intuitive OSD similar to that of a Digital TV. Users can also use Presets to change channels for multiple screens across multiple receivers. 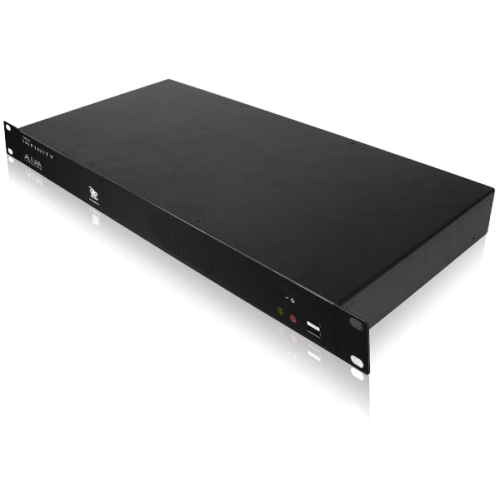 The remote OSD allows the user to “push” video and control to another station or to a video wall or projector. Each user can select their favourite channels within the OSD and allocate a hotkey for fast switching between channels. Administrators can choose to give users the ability to connect in three modes: View only, Shared or Exclusive. Each permitted mode is then made available within the OSD. The switching time between computers is less than 1 second to provide a quality user experience.